Home Podcasts The Eh Team The Eh Team #124 – Nivix Cyclops! The Eh Team #124 – Nivix Cyclops! 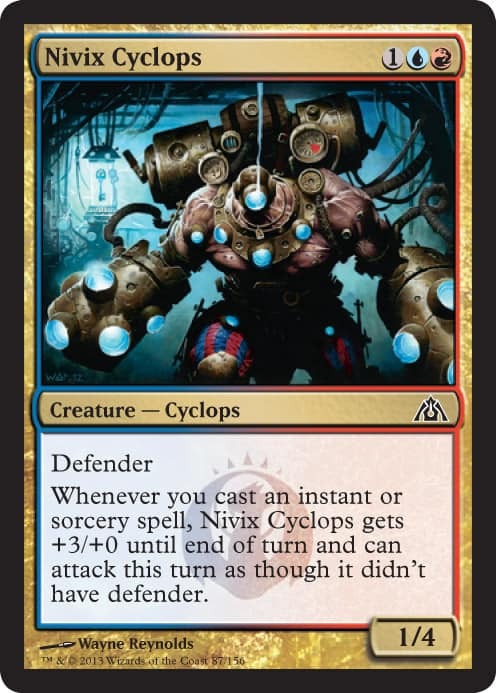 For the first time ever, The Eh Team is proud to present to you ManaDeprived.com’s official spoiler card for Dragon’s Maze, Nivix Cyclops! In this episode, the Eh Team discusses the roles Nivix Cyclops can play in Standard, Limited, Block, and Commander, then look at some of their other favourite spoilers from the new set. They start to examine some Ravnica block decks, in anticipation of Pro Tour Dragon’s Maze, and how some of the new cards will fit in. What’s this? Alex Bertoncini banned again, for an additional six months? The guys share opinions on why, and what this means for the Magic community. KYT & Medina compare their versions of Standard Junk Reanimator.